designed for delivering high productivity and performance. 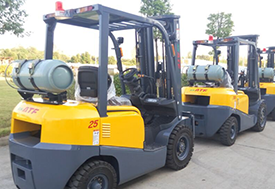 Depending upon the requirements and productivity of your business, we offer varied models of forklifts. Each of them serves on different operational levels. 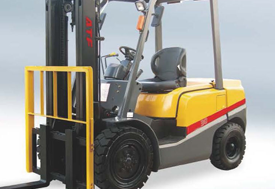 ATF® LPG and Diesel forklift trucks have a world-class reputation for strength and durability in the toughest of industry applications. Manufactured in the same facility as the popular forklifts were, for many years, under license. 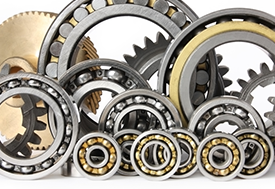 Our passion is to deliver quality machinery while keeping pace with the business requirements. We carry a large inventory of new forklift trucks and types, so we are confident that we have exactly what you are looking for at the lowest prices Guaranteed! 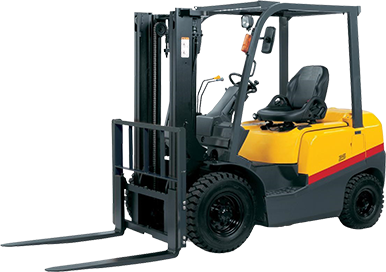 Our forklift inventory includes: pneumatic forklifts, cushion tire forklifts, electric forklifts, pallet jacks, among others! Thank you for letting ATF™ help you with your next purchase..
For most people, buying a forklift truck can be very confusing. What kind do I need? How much do I need to spend? We take the time to help you find the right forklift for the right price. We educate our clients on all forklift types, brands, prices, service agreements and delivery options. We offer on-time forklift attachments and parts, such as industrial tires, forklift forks & extensions, lift truck accessories to increase the productivity and versatility of your industrial material handling equipment. Get in touch with us to know more about our Brand! We Believe that customer satisfaction is our top priority. 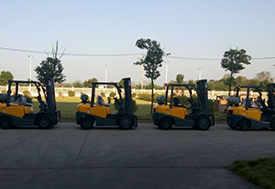 What gives us an edge over competitors is the fact that all our forklifts are manufactured by the same plant in China that was involved in crafting forklifts, one of the best selling forklift sellers across the globe. This is what enables ATF to offer quality prone and productivity based machinery.